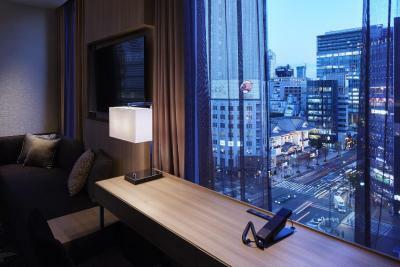 Lock in a great price for Millennium Mitsui Garden Hotel Tokyo - rated 8.9 by recent guests. Great location. 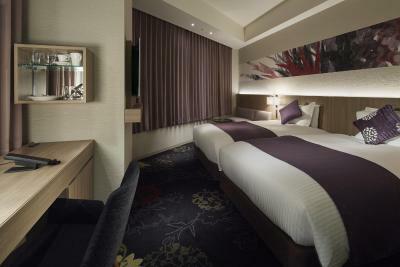 Good clean room - normal tight size for 4 star in Tokyo. 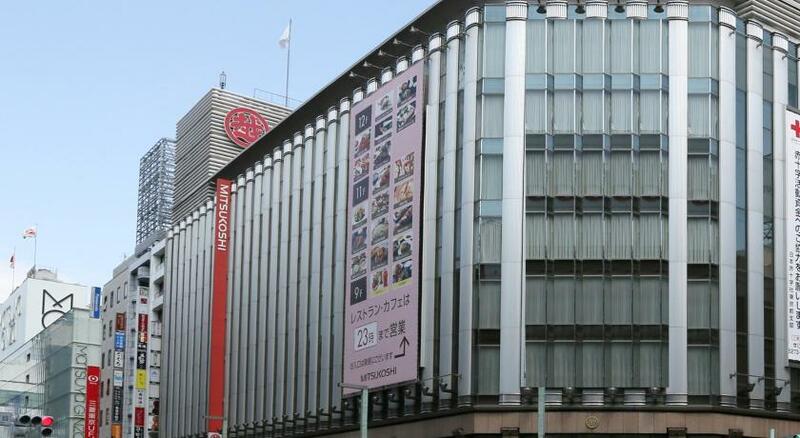 Location is probably the best for shoppers who like Ginza. 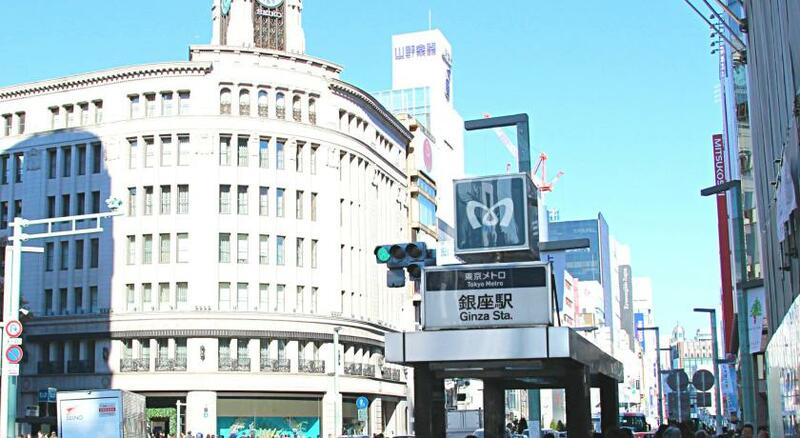 Really close to the main avenue in Ginza and the metro station. Easy access to city attractions. Bedroom was spacious comparing to other options in the region. Great location. 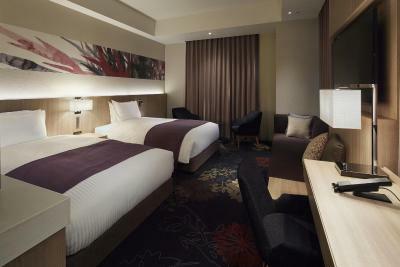 Comfortable rooms and the staff were very friendly and helpful! The room is clean.although squeesy ,security is tight. Location was great. 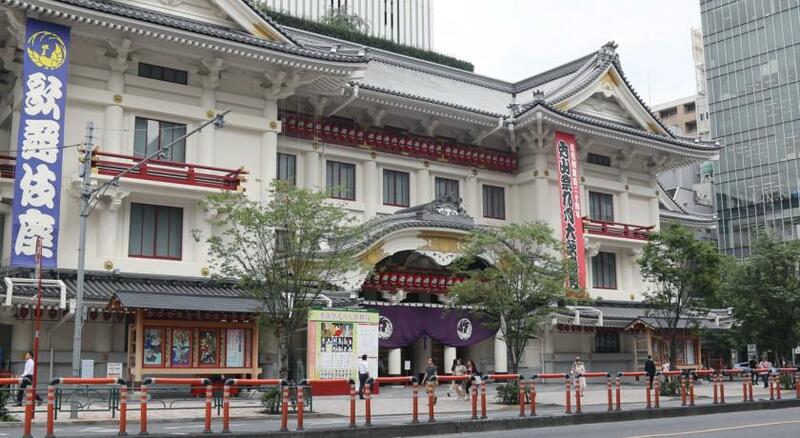 It was a stones throw away from the main shopping street as well as the metro station. It was very close to all the restaurants and bars and was not more than a 5 minute walk to the Ramen area. Location was perfect. 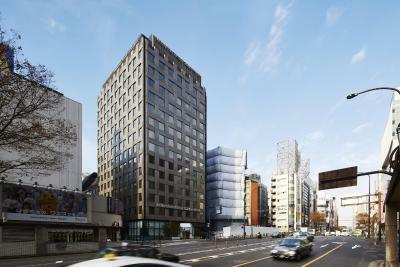 Only 3 minutes walk from Ginza Station. Room size is OK with 2 beds. Location is excellent. 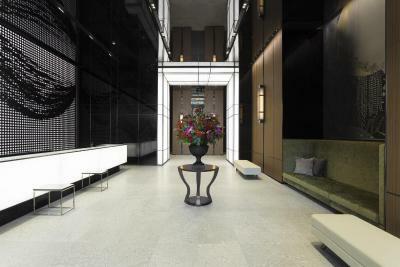 The hotel felt safe and guests can only use the elevator to access the floor they are staying on so it's quiet in the hallways. There were always multiple staff in the lobby to help guests. 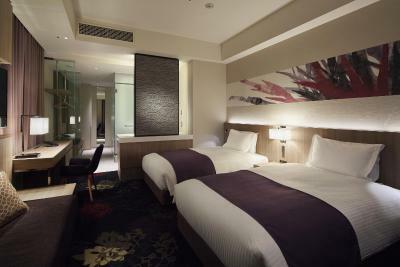 The room facilities were comfortable and user friendly. Great place to say. The staff were exceptional. I had my elderly mum with me and they treated her with great respect and were very helpful. 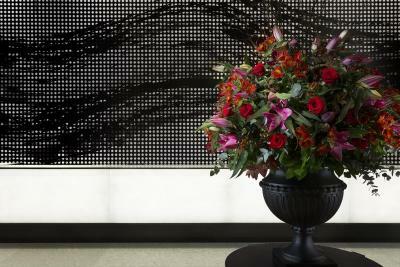 Opened in December 2014 and located just steps away from all the glitz and glamour of Ginza’s shopping, dining and entertainment area, Millennium Mitsui Garden Hotel Tokyo offers a 24-hour front desk, an on-site restaurant and free WiFi access. 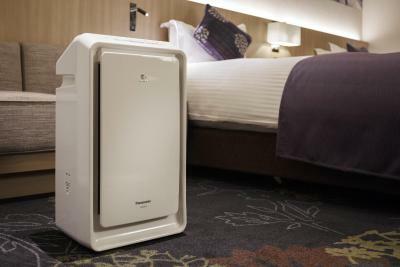 Rooms are air conditioned and fitted with a flat-screen TV, a safety deposit box and a desk. The private bathroom comes with a shower, a hairdryer and free toiletries. Some rooms also come with a bathtub. Towels and linens are provided. 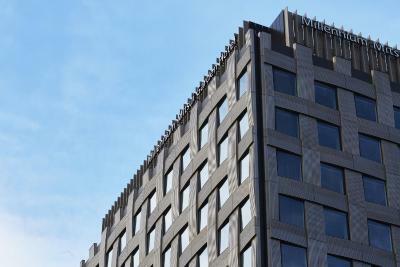 Currency exchange and luggage storage services are available at the front desk of Tokyo Millennium Mitsui Garden Hotel. Laundry services are also provided at the property. A buffet-style breakfast featuring a variety of Japanese and Western dishes is served at the on-site restaurant. Lunch and dinner are also available. 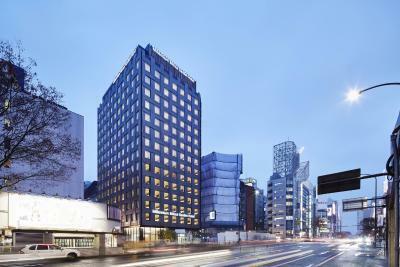 The hotel is just a 2-minute walk from Ginza Subway Station, while Higashi Ginza Subway Station is a 1-minute walk away. Tsukiji Fish Market can be accessed within a 10-minute walk, and Tokyo Tower is a quick 10-minute taxi ride from the hotel. 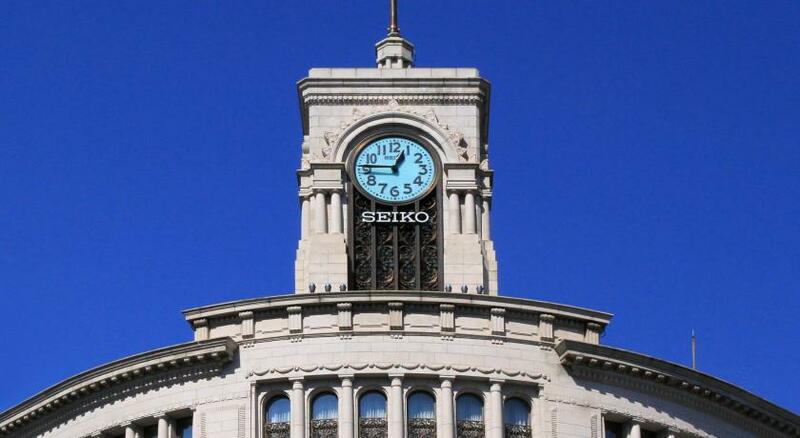 Haneda International Airport is 40 minutes by train. 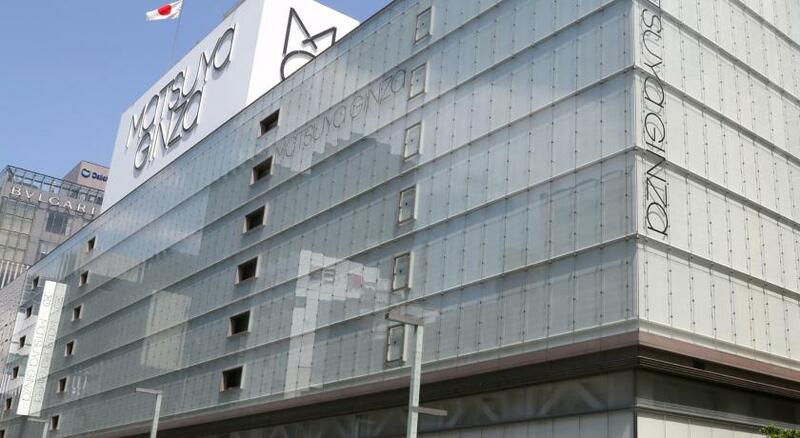 Narita International Airport is 72-minutes away via walk and an express train ride. 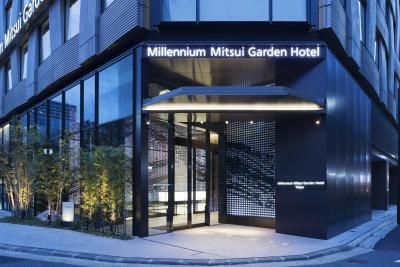 Millennium Mitsui Garden Hotel Tokyo has been welcoming Booking.com guests since 13 Aug 2014. 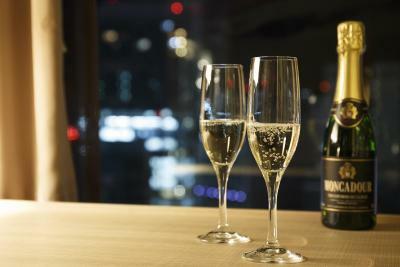 When would you like to stay at Millennium Mitsui Garden Hotel Tokyo? Features 1 double bed (160 cm wide). 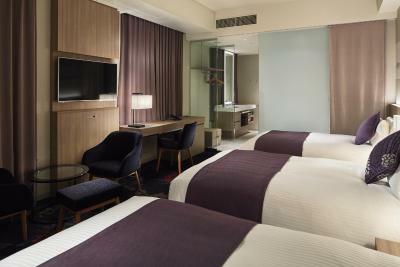 Rooms are air conditioned and fitted with a flat-screen TV, a safety deposit box and a desk. 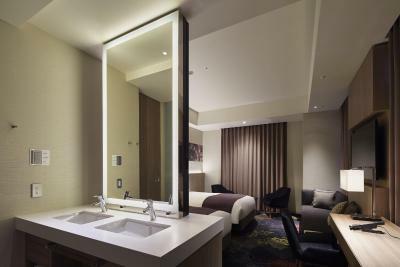 The private bathroom comes with a shower, a hairdryer and free toiletries. This room does not have a bathtub. 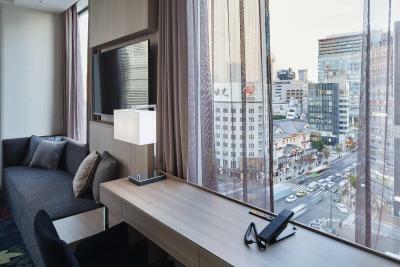 Located on the 3rd and 4th floors, rooms are air conditioned and fitted with a flat-screen TV, a safety deposit box and a desk. 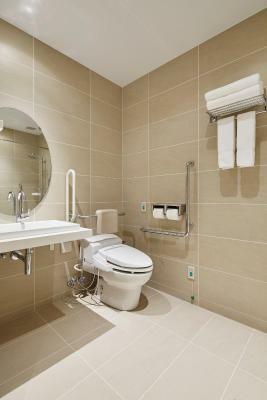 The private bathroom comes with a shower, a hairdryer and free toiletries. Features 1 double bed (160 cm wide). 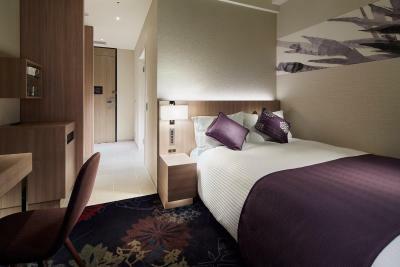 Located on the 3rd and 4th floors, rooms are air conditioned and fitted with a flat-screen TV, a safety deposit box and a desk. The private bathroom comes with a shower, a hairdryer and free toiletries. 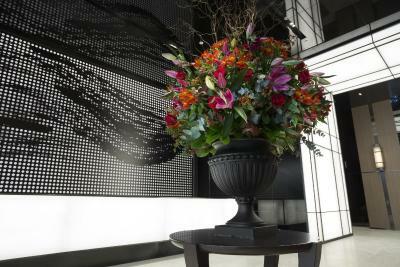 Please note that the property will allocate a room type to the guest on arrival. Bedding and smoking preferences are not guaranteed. 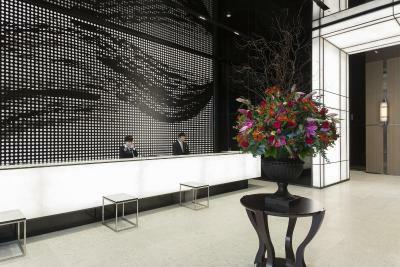 House rules Millennium Mitsui Garden Hotel Tokyo takes special requests - add in the next step! 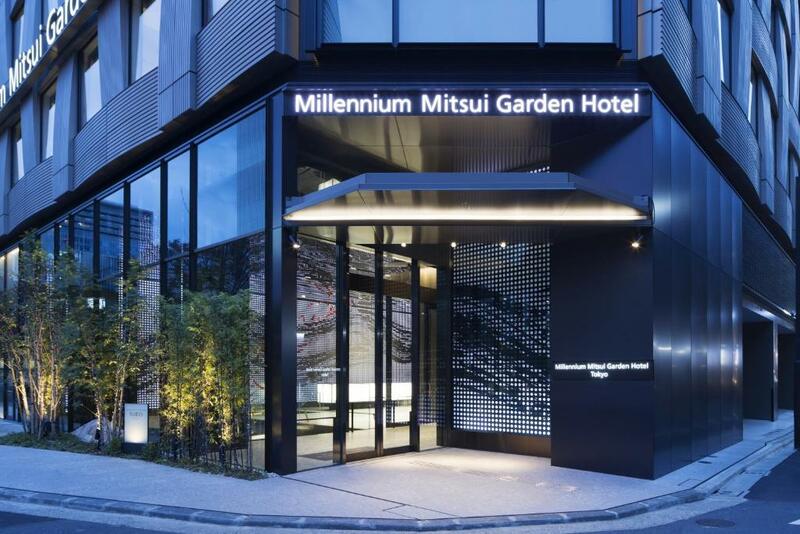 Millennium Mitsui Garden Hotel Tokyo accepts these cards and reserves the right to temporarily hold an amount prior to arrival. 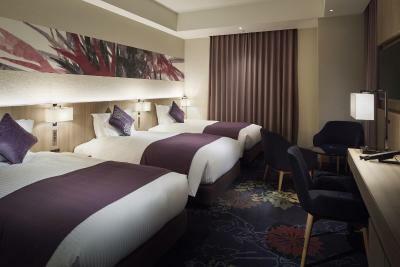 Different policies and additional supplements may apply for group bookings for 8 rooms or more. No drawer/shelf space in the room. No business centre or space where you can sit to work or print documents. Concierge services are not great. They don't have a separate space for keeping luggage, which is strewn around the single, open reception area. Staff are friendly and try to be helpful but they are not prepared/trained to give advice on restaurants, sightseeing etc - they just go onto the internet and do the same research you would do yourself. English capability is varied, from excellent to almost non-existent. One multilingual member of staff was very helpful on this but in general they seemed our of their depth. The restaurant doesn't serve food in the evening, only drinks and nibbles. No room service. Nothing I don't like in this hotel. I didn’t like how small was the room and how everything is separated in the toilet for example the sink was part of the room ! Not inside the toilet ! Felt sometimes a bit cold and took a while to heat up. Very comfortable beds! Tube very close by. 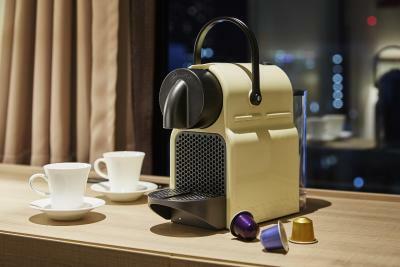 Very little was not to like: Electric transformer is necessary for travelers who travel with their own electric devices. I forgot and didnt plan on that. The hotel brought one up for me but it didnt work. The lobby always seemed slightly messy with lots of suitcases of guests checking in or checking out. 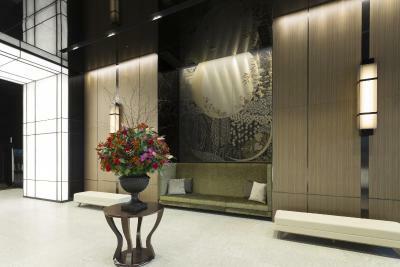 Which is unfortunate because the lobby otherwise is beautiful and has been fitted with great design elements. The location. The room amenities were great. Room size is very small, a typical in Japan. Barely put 2 big luggage in the room. Location location. All what you need is available in the room. The hotel did not have any room service option. So when we arrived to the hotel at 1130PM, there were no options the hotel could provide us for food. There was no restaurant at the hotel that served dinner either. We had to walk to find a place that was open at that point at night. The breakfast was just ok. The pillows were flat and uncomfortable. Both available types were quite poor. The hotel was clean and comfortable and in a great location.